Freeware network vulnerability scanning and patch management solution. 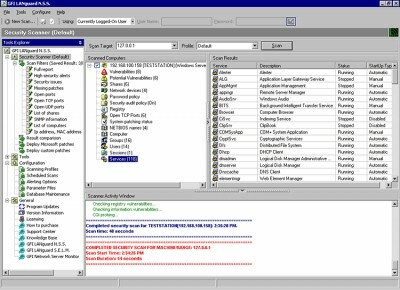 GFI LANguard is a freeware vulnerability management solution, which allows you to scan, detect, assess and rectify security vulnerabilities on your network. It also provides the tools to remediate vulnerabilities and install missing patches on the network. GFI LANguard gives you a complete picture of your network set-up and helps you to maintain a secure network state faster and more effectively. Freeware version is available, for up to 5 IPs! Audit network security with GFI?s network scanning and patch management tool.